The first land clearing in the Amherst area was by Jacob Shupe in 1811. Shupe built a log cabin in this clearing, which is next to a stream he later named Beaver Creek. This original settlement was on a hill near what is now Cooper Foster Park Road. 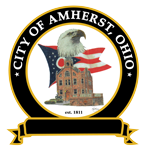 2018 City of Amherst Income Tax Forms are due April 15th, 2019. Forms and instructions can be accessed here. Online payments are accepted for the Utilities, Income Tax and Building Department. All Council and Committee meetings are now streamed live. Archived videos can be found here as well. Watch a video tour of Amherst, featuring Mayor Costilow, Mainstreet Amherst, Education, Parks & Recreation and Community Organizations. On March 11, 2019, Amherst Utilities’ ACH Customers were impacted by a processing error by Northwest Bank. 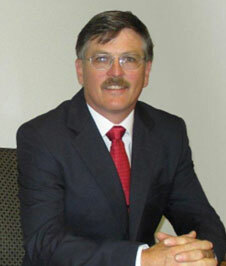 Northwest Bank has acknowledged the error and should have credited all accounts affected. If you have incurred overdraft fees from your financial institution, Northwest Bank will reimburse you for those fees. Have you had your New Water Meter installed? The City is in the process of updating all water meters being serviced by Amherst Utilities. If you have not had your water meter replaced yet, please call the Utilities office for assistance at (440) 988-4224. The Press release from Mayor Mark Costilow: The City Administration has decided to rescind the 2018 electric rate increase immediately, and credit all the City’s electric customers any increased charges resulting from the 2018 electric rate proclamation.